It’s that time again–CHALLENGE TIME, aka time for me to PUT YOU TOGETHER! Fall Challenge registration opens Monday, September 17th, and the challenge will begin October 8th. You’ll have from Sept 17 – Oct 8 to put together your wardrobe for the challenge. 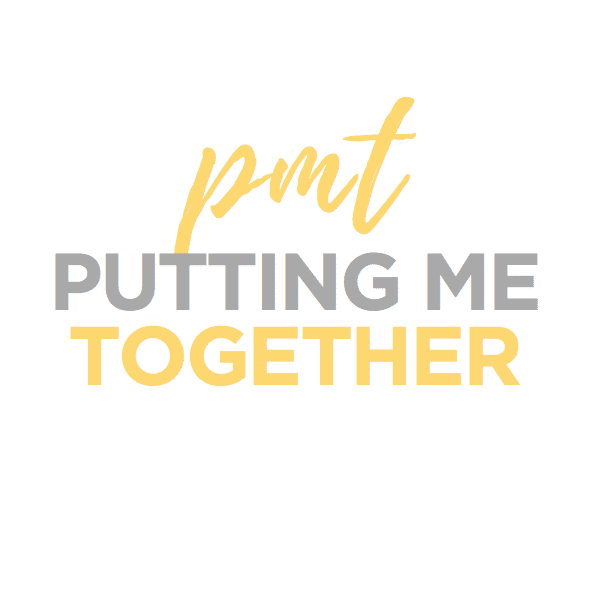 I put together the first PMT Challenge a little over a year ago as a way to help women put into action all the things we talk about on this blog. 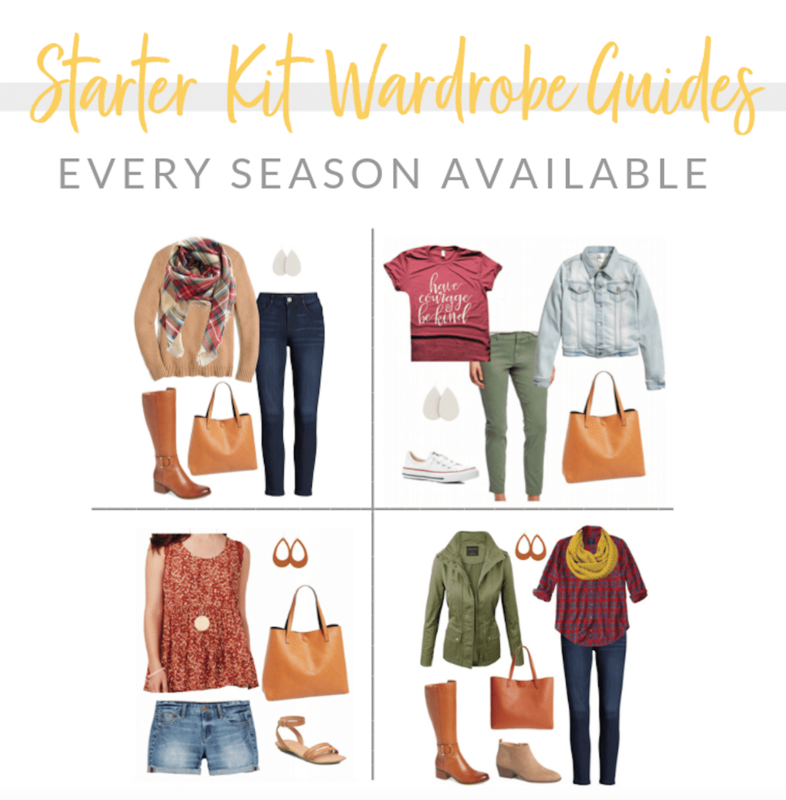 This challenge will literally put you together by helping you make your own versatile fall wardrobe and putting it into a TON of outfits for you. WHAT IS IT? WHO SHOULD DO IT? HOW MUCH IS IT? Read ALLLLLLLL about it on the PMT Challenges Info page HERE. Hundreds of women join each challenge, so I promise you’ll be in good company! This is best if you have a closet full of clothes (aka NOT starting from scratch) and want to play with clothes, fill holes in your wardrobe, and become masters at remixing and putting together outfits! 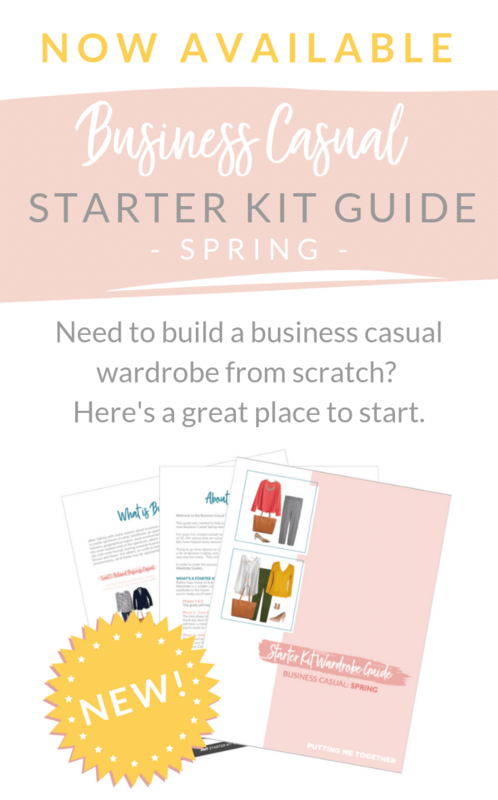 If you’re building a wardrobe from scratch, consider the Starter Kit Wardrobe Guide instead of a PMT Challenge! Sept 17 – Oct 8 is “prep period,” where you organize your clothes or shop as necessary. You can register anytime during prep period, but the earlier the better if you plan to shop. Items may sell out quickly! WIN A FREE FALL MEMBERSHIP! I’m giving away 5 free memberships! Enter through the widget below. Thanks for a chance! Love your style!! Can’t wait for the challenege to start!! Love all your outfit ideas! Fun! I’m new to the challenge, but Audrey always gives me great ideas to on how to shop my own closet or new go-to pieces, so excited to join! I’ve always thought about doing the challenges… this might be the one to try! Love this idea! I need good fall inspiration! I’m looking forward to this challenge!! I have mostly white & black in my wardrobe, so this would be great to help me add color! Can’t wait for the new challenge!! I’m so excited about the fall challenge! I have been following for a while and would love to be a part of the fall challenge! I’m a mom of 2 girls and I love all your cute, yet practical outfits! Fall is my favorite season and I’ve been following your blog I think almost since it started. Would love to win the PMT Challenge for Fall!! I could use it as I need to rethink what’s in my closet. I’m a Mom of 3, and I love all your cute outfits! Omg fingers crossed!! Working mom of 2 tired of buying mindless items that don’t match and learning hot to look “more put together”. So excited for the fall challenge and someone telling me what to wear! 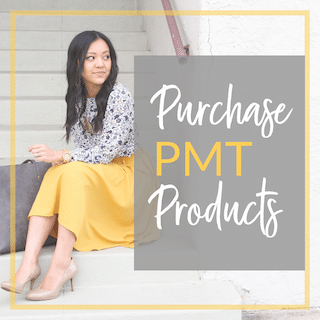 My obsession with PMT started with last year’s fall challenge… excited about this year- Fall fashion is the best fashion! Getting dressed has become so much more fun for me since following your challenges! I can hardly wait! I can’t wait for the fall challenge! I always love your fall outfit combos. Ahh! So excited for the fall challenge! My favorite time of year, looking forward to some awesome outfits! Been following you for a long time now, and have participated in a few of the PMT Challenges. I’m trying to look more Put Together and think you can definitely help! I am in the UK and love your challenges, even though I can’t always get hold of quite what you’re recommending it’s fun to see what I already have that will work! One thing about me: I’d love to win the giveaway! So excited for the fall challenge! I can’t wait to see the fall outfits! Would love to try this challenge for the first time this fall, but have a very tight budget!! Your outfits always are so adorable! Can’t wait!! The sneak peek looks great!! I love the challenges for showing me how to mix and match my wardrobe and for helping me to stay current. So excited to read this issue of your news letter!! Fall is the best time for fashion! I’d love to up my game. Can’t wait to see the fall outfits! I love fall! I’m in ND, so sweater weather is already upon us! Fall clothing is the best. I’m ready for cooler weather and fall colors! This will be my 2nd Fall challenge and I am so excited! I cannot WAIT for fall!!! I have the challenge marked on my calendar – I cannot wait!!! We don’t really have fall weather in the Bay Area, but I love crisp fall leaves and warm fall clothes. I look forward to all your challenges, but fall is always my favorite! So excited for this challenge – especially during my favorite season! Thanks! I’m excited to try it! Yay, fall outfits! I’m 15 weeks pregnant and starting to look at cooler weather maternity & bump accommodating “normal” clothes. Looking forward to seeing the outfits! I’m really enjoying the cut out booties that are popular this year! Can’t wait to try some new outfits for fall! I can’t wait! I started last year with the Winter challenge and LOVE fall clothing. I have been looking forward to the fall challenge since the Spring one ended! LOVE not having to think about what to wear and still looking incredibly stylish! These challenges are the BEST!! Can’t wait for the Fall Challenge. Can’t wait for the fall challenge! I did the spring challenge and loved it! Looking forward to it, especially news ways to mix olive jeans. Looking forward to another fall challenge! And FYI your ‘log in with Facebook’ (to comment) icon is broken. I’m excited for the Fall challenge! My wardrobe has seen better days and I’m excited to shop with purpose this season. 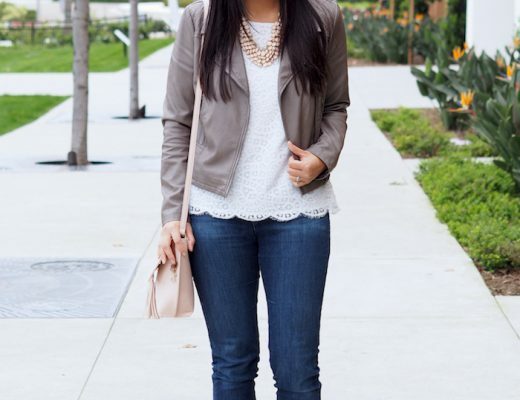 Love your style and practical clothing suggestions for busy, working moms! This will be my first pregnant challenge. I love this group! Super excited to do another challenge! I was looking forward to do one of these challenges. Woohoo! I love this! I need to build a new wardrobe after baby! I would love this! My wardrobe has been changing thanks to you and your posts and I’m looking so much more put together! Just got the Starter wardrobe pack and I love it!! This is just what I needed to get going. Do you provide recommendations for adjusting for different color palettes? I’m so excited! Looking forward to the challenge. Is this challenge good for business casual? So excited for fall and seeing all your fall outfits — love the outfit inspiration from the challenges! I love love love fall clothes! The colors and the cozy sweaters make me happy! Love your blog and the helpful tools you’ve put together! One thing about myself is that I don’t enjoy shopping. This is why I love the challenges, because they tell me what I need to buy and where I can get it. Enjoy seeing all the outfit ideas. Your blog has helped me stay in style with little effort. I can’t wait for the fall challenge to begin. This is my favorite season and I love being well dressed for it! I love that we’re about the same size- so helpful! I’m also a momma to two little ones (daughter will be 4 in November, son is 19 months). Love clothes and shoes, I have only bern following your blog for a few months but I love it! So excited for the Fall 2018 challenge! I started last Fall and I’ll never go back! Ha! I love fall clothing and how cute everyone always looks. I have a little one and don’t know have people manage to look great with kids. I’ve really enjoyed your blog in trying to feel put together. And I would love to try this out! I am having a hard time deciding between the style challenge and the starter pack. I have done 1 challenge but never had enough of the pieces for it to go perfectly. I assume the starter pack is a smaller subset of the clothes listed in the challenge? And is there any “combo” deal, where you can have the full list from the challenge, but with stars by the more crucial items (like the ones in the starter kit)? Just curious! I have done 2 challenges and am excited to start my 3rd! I live in the SF Bay Area so the fall challenge has me set with outfit ideas through the winter. I am surprised by how much body confidence the last challenges gave me. I did my first challenge last fall when I was about 6 months postpartum and none of my pre-baby clothes fit right. I invested in myself at the weight and body shape I was in that moment and I felt SOOO much better, more comfortable and happier. And now I have a great closet stocked with remixable basics and am ready for the next fall challenge! Look good, feel good! Mama of 4 who LOVES fall and is so excited for fall clothes! Fall is my favorite season! I can’t wait to see the outfits! Stay at home mom for 4 kids needs all the style help she can get! I absolutely need help! I’m a stay at home Mom and I’m in a style rut! This blog and the challenges has completely changed the way I dress and shop. love it! I’ve done 4 of the 5 challenges, and last fall was the one I wasn’t able to do. I’m so excited for the opportunity to participate in this one!! This would be the perfect rut to get me out of the post-baby funk! Can’t wait for the Fall Challenge! I have 5-year-old boy/girl twins and live in Colorado. I am so excited for this. You are an inspiration! I love this blog! I need the fall starter kit so bad. I’ve lived out of the country for may years, so this is my first fall in a long time. I need help! I’m so excited!! I feel like I’m going to be really prepared for this challenge after doing some already so I can’t wait to organize my closet when I get the list! One thing about me: I have a 7-year-old with a deep dedication to acrostic poetry the last few days—which means I’m spending my days as a walking dictionary. Send help. Or an actual dictionary. One thing about me: I have a clothing addiction. Seriously. Good thing I love thrifting!! I love that you go for comfort because that’s so important to me too, lol! I can’t wait to wear sweaters and scarves! This will be my 2nd challenge and I can’t wait! Dressing for fall is my favorite! New to a warmer climate and trying to navigate dressing for both fall and warmer weather! I love fall weather outfit! I love your capsule wardrobes! I love fall clothes, can’t wait to give this challenge a try! I’m a #pmtog and am so excited for the fall challenge! One thing about me is I’m on the search for Los Angeles’s best taco. Soooooo excited! I have two kiddos and joining the pmt challenges has really helped me find space to feel beautiful. I love the Facebook group and all the love that is given there! Fall style is my favorite! Can’t go wrong with boots and cardigans. I’m pumped to give this challenge a try! I just moved to Durham, NC, and hope we get some fall weather soon! How exciting! One fact about me is that I’m getting married on October 20! I love fall clothes! I have twin toddlers and have been taking a back seat ever since they arrived. I love your style and would love to see more corporate style ideas. I have so many clothes that are soooooo old and boring to me but I’m saving for other things so don’t have the money to buy much. I need new, fresh ideas for how to style my stuff! I did the last Fall & Spring challenges and LOVED them. It got me out of my “style rut” so thank you much!!! I can’t wait!!! I haven’t done a challenge since the winter! & I’ve missed it sooo much! I go through waves where I feel stylish and then ruts where I feel so blah. Hopefully this challenge will keep me on the stylish end! I’m so excited for my second fall challenge! 🙌🏻 Thank you Audrey for your hard work! Sooooo excited for the Fall Challenge!!! Exciting! The green military coat in the hero image…I only see similar versions in your links. What is the brand of the exact one in the hero image? Thank you! So excited for another challenge! Perfect timing- moving about 950 miles north to take on a new job. i need a whole new fall/winter professional wardrobe as i’ll be managing staff. Can’t wait! I so often cut out pictures from your site to add to my outfit journal. So much my style. I loved the spring challenge (my first one!) and can’t wait for the fall challenge! I joined the spring challenge. The Fall challenge isn’t in the budget but O entered to win. Crossing my fingers! Hmn. One thing about myself… I’ve never had a Facebook account and do not intend to have one for personal reasons. I am kind of wondering if that would diminish the usefulness of the challenges for me if I were to register? Is the Facebook part really integral to the whole thing? Love the spring challenge and got so many good pieces! Well, I am excited to have discovered your blog. Your simple formulas and ideas for outfits have really helped me. As a professional, I like the dressier/business looks the most. Also, I love your dresses–definitely opened my eyes to other places to find dresses. Thanks! As a SAHM I didn’t think I’d get my money’s worth doing a style challenge. Boy was I wrong! Getting dressed nearly every day has changed my life in so many ways besides looking put together. I’m happier and more confident and that transfers over to my family life. This fall challenge mark’s my 1 year anniversary of getting out of my yoga pants rut. Thank you Audrey and the PMT team!!! I live in Florida and can’t wait for it to cool down! I spend way too muc time taking care of my elderly black pug!!! Excited to see the outfits for the fall challenge! I’m a first-timer to the challenge and am excited about it! Love this idea! I get so overwhelmed with my wardrobe, I have all basics and nothing special. And especially at the beginning of a season it gets crazy since I don’t know how to prioritize certain purchases. I think this is exactly what I need!!! I love fashion but i always think I need to buy new to like what I’m wearing. SO THANKFUL for someone in this industry who acknowledges that we need to keep utilizing what we already have!! This will be my second Fall Challenge and I hope to sew some clothes to match the suggestions! I’m a big fashionista who loves your blog!!!! As a momma to a 4, 2.5 and almost 18 month old, and 8 months pregnant(all boys) I need to learn how to start taking care of myself and stop using being pregnant or nursing as an excuse for having absolutely no style. Plus figuring out where I fit in the fashion world at age 35 is so daunting! Can’t wait to get started!! Love these challenges! I’m just getting started rebuilding my wardrobe, I love this! This sounds amazing! I’ve been seriously bored with my wardrobe lately and need help picking quality pieces. I was just saying I need help with my wardrobe and then I happened upon this post. This would be an amazing opportunity for someone who is stylistically challenged. (And who doesn’t love to shop much.) Thanks for the chance to win! 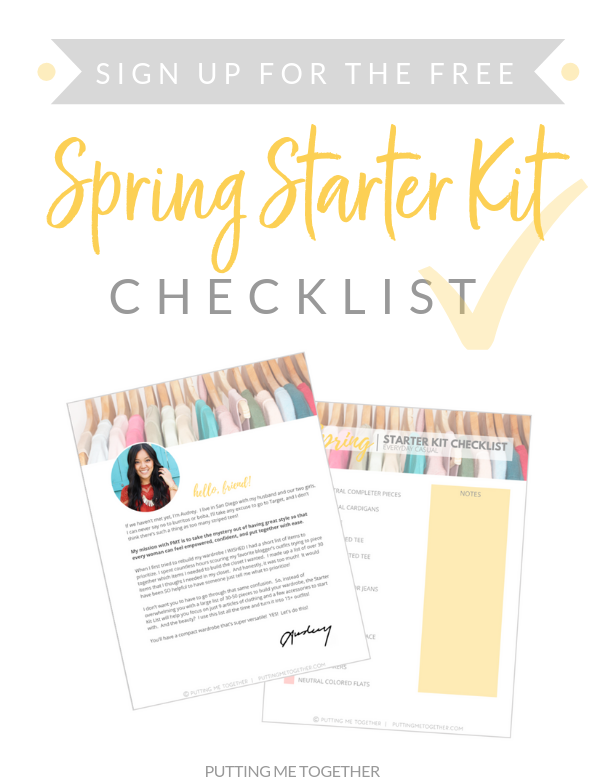 I did the spring challenge and it helped my wardrobe so much! Can’t wait till Monday! Looking forward to this challenge! I’m a stay at home mom of 5 (well, 3 at home and 2 in college, 1 who is married 😉). enjoy being stylishly comfortable without spending a fortune. Thanks for putting this together! 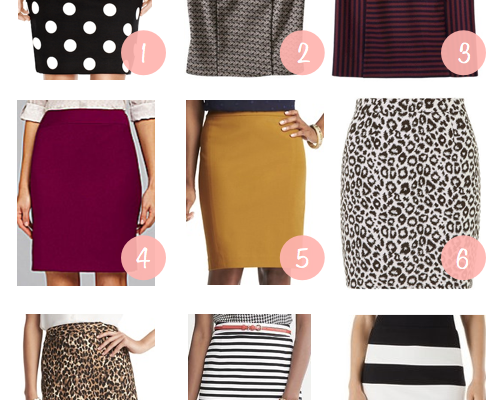 I work from home and am totally in a style rut… seriously considering this! Woohoo! I can’t wait for fall weather but it’ll be a while before it hits Florida. Hoping for a cold front! Ugh, I need one of these in my life SO bad. I always get into a rut of wearing the same outfits during a season instead of mixing and matching. Thanks for putting together the starter kits as well as seasonal challenges! This challenge looks like fun! These challenges have literally changed the way I live my life. I spend less, feel better, and live more confidently because I know what I’m wearing is timeless. Can’t wait to do another one! Love fall clothes so much!! But my closet is sad and needs a boost!!! I love your blog so much that I wrote about following you in my own blog! I would love! to try one if your challenges!!! Yay! I’m excited to do this for the first time! Fall is my favorite season to dress for! Already in the midst of Fall clothing where I live, but I plan to use similar looks with extra layers for winter, too. I’m looking forward to the cooler fall weather and some cute outfits to go along with it! I have always wanted to try one of your challenges but never had the opportunity, I would looove to win a chance to try it! I love following your blog. I enjoy the honest reviews, and I love that you provide size information and shopping links. 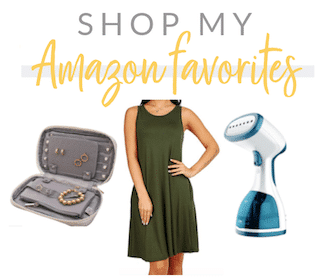 I am a busy mom of 3, and the links for online purchase make my life so much easier! I’m so excited for another PMT challenge! I’ve been in since the first challenge and have no plans to stop playing along each season. I continue to learn more about my own style with each round. Thanks Audrey and Katie!!! I stumbled across your blog through Pinterest, and I thought THIS IS EXACTLY WHAT I’VE BEEN LOOKING FOR! I love the idea of outfit formulas, and as a minimalist I’m really into sustainable clothing practices… remixable is where its at! I’m a student, studying to be a holistic health and wellness coach. Love from Minneapolis! Can’t wait for fall fashion! Already super excited looking at the sneak peak pieces! Fall is my favorite time of year for fashion because it is cold enough to wear layers. Love your outfits you put together. Can’t wait to see your fall outfits for this year! Love your style and these posts! I’ve been waiting for this! Love seeing what you come up with! My sister worked for IV! I’m a busy mom and teacher and I need all the help I can get with making fashion easy! As a minimalist, remixing makes so much sense! Unfortunately, I’m not very good at it – hoping to learn during the challenge! I love fall clothes!! Look forward to your new finds each year! I’m looking forward to this challenge! I love fall clothes! Can’t wait to do my 2nd challenge! I would LOVE to win a PMT membership!!! I love to rock climb! Would love a free challenge!! I can’t wait for the fall challenge. I’ve been living off of the summer challenge since June! I love to have a wardrobe that mixes well! I can’t wait for the fall challenge! I have too many clothes and I need to learn to mix and match for a versatile wardrobe! Love this idea to help maximize my closet! Love this idea! I’m in need of something like this! I need this I have a closet full of clothes and nothing to wear. Soooo excited for this! The fall challenge has been my favorite of all the past pmt challenges so I look forward to this one! I’m looking forward to following along and dressing for fall! I would love to be part of this challenge! I would love to have a closet of timeless staples to put together! I always think about joining but feel like I will not be able to keep up! I love the idea of being put together but I feel like I should wait until I’m backyard in shape or I won’t ever feel good in my clothes! Anyone feel the same?! I can’t wait to do this challenge. I want to look more put together at work — and this is exactly what I need! I am so excited for the fall challenge! This challenges really help me to find my own personal style and always look put together! Sounds like a fabulous community that comes together for these challenges. This would be incredible! Last year I lost 70 pounds and buying all new clothes has been quite a challenge. I need to learn how to put them together in outfits that suit me now. A new mom of 2 (our son was born 1.5 weeks after Ella!) and I’m ready to revamp my wardrobe! I’m chubby, but I always feel confident after following your advice!! I just love your style and your blog!! I hope I can do this with minimal purchases. I did a spring challenge and learned so much! Would love to try another season! I look forward to the challenges every season. They make my life so much easier. One less decision I have to make! So excited for this challenge! I love fall clothing and I looooooved the spring challenge, so I’m sure this will be amazing. OMG I didn’t think this was coming out until the 17th!!! So excited! After giving birth two years ago, I think I am finally ready to get back on the “have some style” train, and this might be just the thing I need to get that done! I’ve recently lost 12.5 lbs and I’ve purchased a new wardrobe. I’m excited about this challenge. Fall is my favourite challenge! I already have most of the items and the weather is already cooler here so I’m ready for it! I love your style! I used your recommendations for the Nordstom anniversary sale and love the items I purchased. This challenge sounds amazing! Can’t wait for the fall clothes! I’m seriously considering doing this! It sounds so fun! I’ve been shopping way too much lately though, and don’t want to have to shop for much more. Is a lot of shopping required? I’ve been trying to take more pride in my appearance (which is hard sometimes when you’re a working mom), and even posting my own “outfit of the day” pictures on my Instagram and Facebook pages. Shopping is optional as you’re able to adapt the outfits. I write general descriptions for each piece like “Solid colored sweater.” So even if i show a pink sweater, you should be able to use a blue sweater you already own to make the outfit work. And ppl could help you in the Facebook group to figure out how to adapt everything more. Would love to have you join! So excited! Wish it wasn’t 90 degrees today 🙃 Ready for fall Fashion!! I have built a good core closet and I’m looking forward to more ideas on how to use and remix what I have! I am excited to to see what outfit remixes you come up with in this challenge and how I can adopt those to a business casual work environment! I can’t wait for the fall challenge! PMT Challenges keep me sane! I have great outfits to wear picked out for me and the group of women on the Facebook page are fabulous! Sounds fun! Would love to try this out! Fall is my favorite season. Can’t wait for this! I think this is one of the most helpful resources. I often purchase unique pieces that I love, but don’t match anything/match one piece in my office. 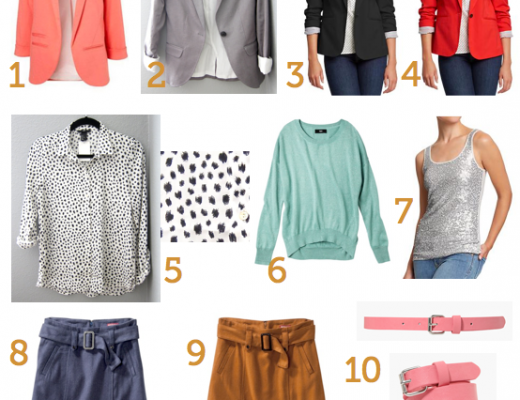 Your blog has helped me organize my thoughts about y style, and what I truly need to purchase. Also, I’ve been on different worship teams in the past. Love the blog. Love what you do thanks! this is so exciting! i just picked out a few things at old navy for the fall! I can’t wait to start the challenge! The Fall challenge is always the best! Bring on the autumn colors! Love the fall and hope to win. Excited to get stylish together!!! I’ve never done a challenge before but this looks so fun! Just entered to win! I started a new job 6 months ago and have already been promoted 2 times and starting this new role super soon and what to dress to part! I am transitioning from being a Phys Ed teacher to a Resource position. I have been wearing atheleisure to work for years and look forward to wearing “real” clothes again but I feel like I have forgotten how! This challenge would be absolutely perfect for me! Looking forward to it. I’m in an outfit slump! Love figuring out new outfits within my closet! I’m so excited for another challenge! I did the challenge last fall and love how effortless it makes my mornings. So excited for the fall challenge!! I am excited and hope to participate in this challenge! I really need to start putting this all into action and look forward to learning from others! Hi Audrey, I love that white plaid shirt in the giveaway collage. I’ve been trying to find it online. I’m hoping it is not a shirt by Rails, those are so spendy. Will you please share which shirt that is! Hi Audrey, I’m a homeschool mom and small business owner – these capsules are such an easy way to know what to wear every day! Looking forward to it! I’m born the same year as you, also have two kids close-ish in age to yours (5 and 6 mos) and you’ve slowly gotten me to shop places besides Target and Old Navy for clothes! This is my 2nd challenge. The last one was one of the best investments I’ve made in myself. Thank you for doing this! I am counting down the days until the release! I did the spring challenge and I’ve never received so many compliments on my outfits. Ohmigosh that is SO wonderful to hear!!! Would love to try this out! I have a closet full of clothes but never know what to wear. Would love to try this out! I have been following you for years and have a closet full of clothes but never have anything to wear!